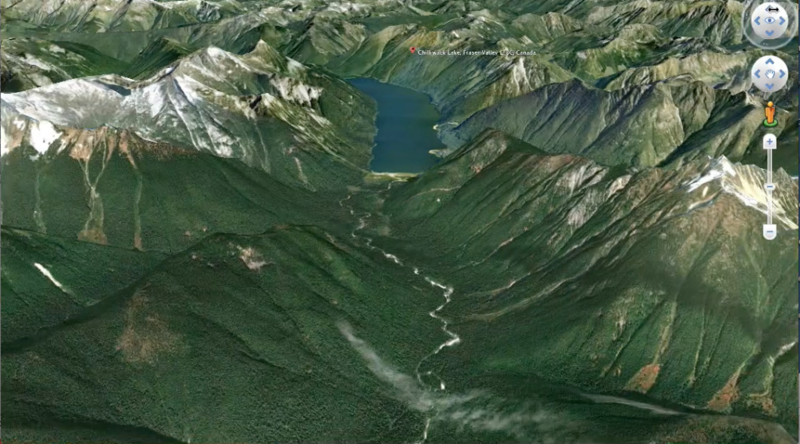 This 3D rotation of Chilliwack River was made from Google Earth. The video starts with a view from Chilliwack lake south into the reserve and through to the US Border. The lake is visible when it comes 180 degrees and is looking to the North., which is the view in the still frame below. Click it to start. ← Black oystercatchers on the Front Line for Oil Spills.